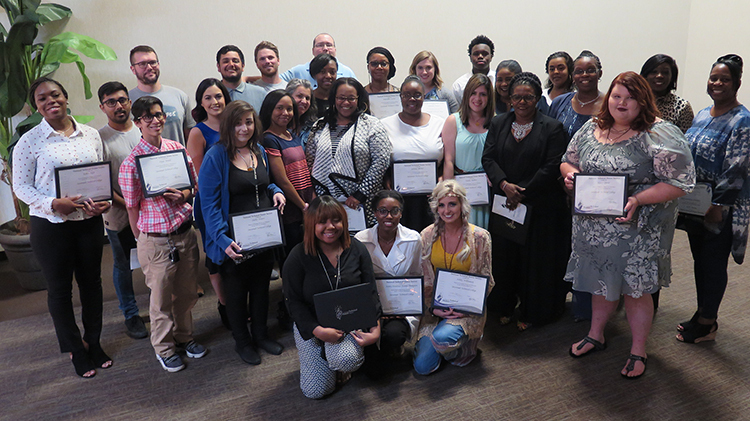 SAVANNAH, GA – Twenty-eight Savannah Technical College students attended the induction ceremony for the National Technical Honor Society (NTHS) recently at STC’s Eckburg Auditorium. A total of 50 students have been inducted into NTHS during AY2019. Students were nominated by an instructor in their major based on their work ethic, academic performance and community service. NTHS honors student achievement and leadership, promotes educational excellence, awards scholarships, and enhances career opportunities inductees. Also, NTHS is the international leader in providing recognition for excellence in career and technical education. For more information about the NTHS visit: www.nths.org.